“Driven to Distraction Recognizing and Coping with Attention Deficit Disorder from Childhood through Adulthood” by Edward M. Hallowell, M.D., and John J. Ratey, M.D. 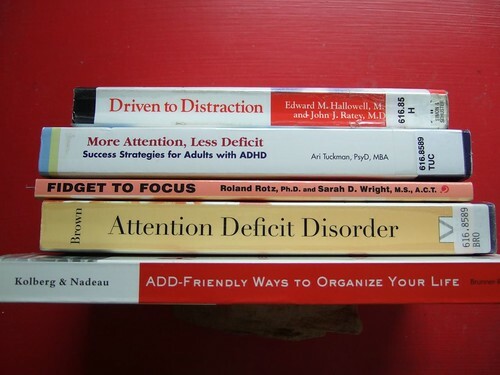 “Delivered from Distraction Getting the Most Out of Life with Attention Deficit Disorder” by Edward M. Hallowelll, M.D. and John J. Ratey, M.D. “You Mean I’m Not Lazy, Stupid or Crazy? !” by Kate Kelly and Peggy Ramundo. “ADD Friendly Ways to Organize Your Life” by Judith Kolberg and Kathleen Nadeau, Ph.D.
“Odd One Out The Maverick’s Guide to Adult ADD How to Be Happy and Successful by Breaking the Rules” by Jennifer Koretsky. “Survival Tips for Women with AD/HD Beyond Piles, Palms & Post-its” by Terry Matlen, M.S.W. “What Does Everybody Else Know That I Don’t? Social Skills Help for Adults with Attention Deficit / Hyperactivity Disorder” by Michele Novotini, Ph.D.
“Is It You, Me, or Adult A.D.D.? Stopping the Roller Coaster When Someone You Love Has Attention Deficit Disorder” by Gina Pera. “Organizing Solutions for People With Attention Deficit Disorder Tips and Tools to Help You Take Charge of Your Life and Get Organized” by Susan C. Pinsky. “The Disorganized Mind Coaching Your ADHD Brain to Take Control of Your Time, “Tasks and Talents” by Nancy A. Ratey, Ed.M., M.C. C., S.C.A.C. “Fidget to Focus” by Roland Rotz, Ph.D. and Sarah D. Wright, M.S. “Survival Guide for College Students with ADHD or LD” by Kathleen G. Nadeau, Ph.D.
“Learning to Slow Down and Pay Attention A Book for Kids About ADHD” by Kathleen Nadeau, Ph.D. and Ellen B. Dixon, Ph.D.
“Attention Girls A Guide to Learn All About Your AD/HD” by Patricia Quinn, MD. “Coaching College Students with AD/HD Issues and Answers” by Patricia Quinn, MD and Nancy A. Ratey Ed. M, MCC. “Empowering Youth with ADHD Your Guide to Coaching Adolescents and Young Adults for Coaches, Parents and Professionals” by Jodi Sleeper-Triplett, MCC, SCAC. “ADHD & me what i learned from lighting fires at the dinner table” by Blake E. S. Taylor. 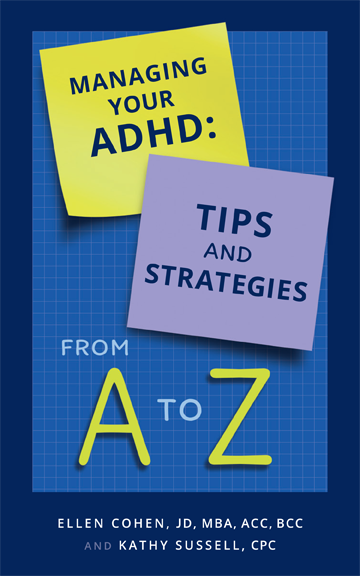 “Teenagers with ADD and ADHD A Guide for Parents and Professionals” by Chris A. Zeigler Dendy, M.S.